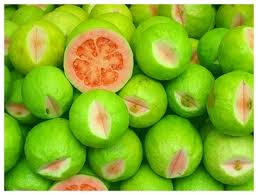 Guava fruit health benefits. When you have diarrhea, everything that goes in, comes out. When drinking lots of water or coconut juice our body can maintain the water it needs. Also eating rice porridge can help slow the diarrhea down, helping you keep the water and nutrients that your body needs. RECIPES Materials needed: a cup with a hole, guava leaves, pot, stove, drinking water, spoon, cups to serve.